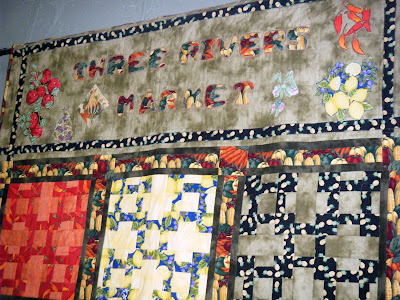 Three Rivers Market in Knoxville advertises as Tennessee's only such food co-op. General Manager Jacqueline Arthur says Three Rivers is one of hundreds of co-ops across the country and belongs to the National Cooperative Grocers Association. The co-op has been serving East Tennessee for three decades. The modest store on the northern edge of downtown Knoxville is accessible by several modes of transportation. Worn, hardwood floors inside are reminiscent of an earlier time. 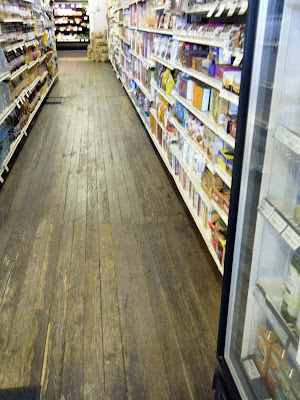 ﻿Long aisles hold a variety of wholesome food products, leading back to a fresh assortment of produce. 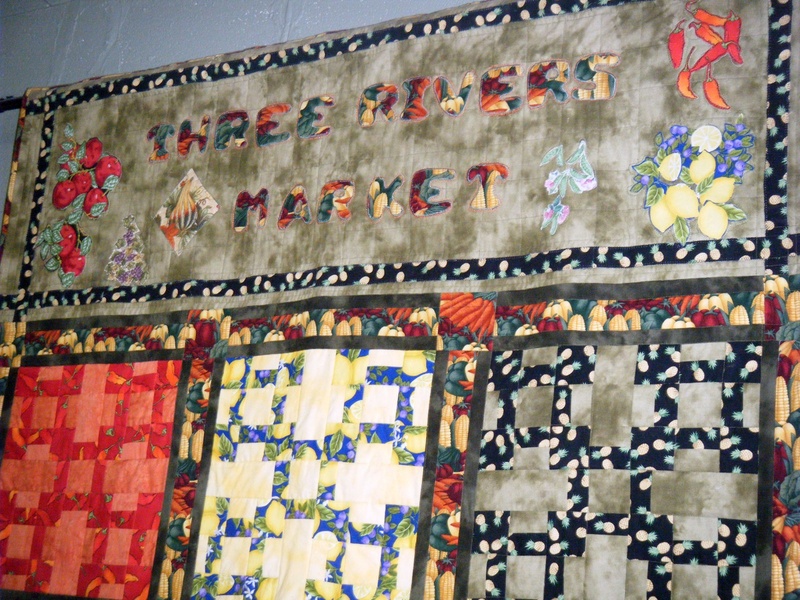 A quilt on the back wall displays a fruit and vegetable motif. Many well established brands fill the shelves, with pricing similar to that of other natural food stores. The store boasts the area's largest bulk-food bin assortment. It also carries an impressive amount of bulk herbs and spices. From time to time I see a tag noting a special discounted price for members, similar to the ones grocery stores use with their loyalty cards. The minimum membership to qualify for the discounts is $25. The cashier explains that member discounts rotate around a variety of basic items, so that someone filling a weekly shopping list could always find an item in each category for sale. The co-op clearly emphasizes wholesome foods, natural products and many organics. I've noticed the locally baked bread and local dairy products. There's understandably not much local produce in the middle of winter. The annual report notes that for the last fiscal year, over 14% of sales were of local products. Arthur says the co-op is in the midst of refining how it defines local. "I can say that East Tennessee is currently not meeting the demand for natural and organic products. We could sell a lot more than we do now if there were more vendors. Big opportunities exist." 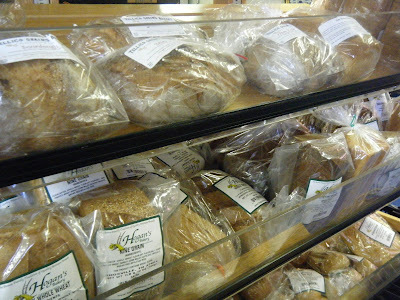 Three Rivers Market includes three pages of quality standards printed on its website. In addition to emphasizing all-natural, organic and local, the co-op stresses values such as supporting the local community, donating or composting excess food to cut out waste, and using local financing to build its next facility. With plans in the works for an expanded store on a new site, the co-op will still be located near downtown in a city revitalization area. Co-op leaders explain that the location not only serves a concentration of Knoxville customers, but it serves a growing group of regional customers by being less than a half-mile from an Interstate 275 exit. Three Rivers Board Chairman Jim Hagerman says, "Our marketing study showed that the close-in North Knoxville area provides the best combination of proximity to otherwise underserved communities and our current patron base, as well as access for those who travel farther to visit the co-op." The high standards and community involvement are admirable qualities. Yet, I wonder if the average family on a tight budget can afford to do all of its shopping at a place like this. There are the member specials, and I even see a co-op coupon book that can be used. Bulk bin staples seem to offer reasonably low prices, if you make the effort to shop that way. When I asked Arthur about the average income of shoppers, she said the co-op does not gather that information. She did add, "We do see a lot of different types of people joining the co-op and shopping here. The best deals are for members, including participation in a type of profit-sharing called 'patronage refunds.' Average families can best afford natural and organic foods via membership in a co-op and thoughtful shopping."